CARFAX 1-Owner. EPA 34 MPG Hwy/24 MPG City! 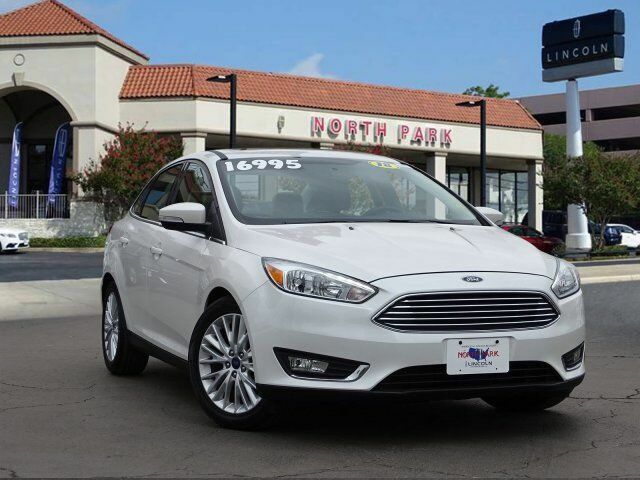 Moonroof, Heated Leather Seats, iPod/MP3 Input, Satellite Radio, Remote Engine Start, Onboard Communications System, Aluminum Wheels, TRANSMISSION: 6-SPEED POWERSHIFT AUTO... Back-Up Camera, Premium Sound System, Flex Fuel CLICK ME! Leather Seats, Sunroof, Heated Driver Seat, Back-Up Camera, Flex Fuel, Premium Sound System, Satellite Radio, iPod/MP3 Input, Onboard Communications System, Aluminum Wheels, Remote Engine Start, Dual Zone A/C, Smart Device Integration, Brake Actuated Limited Slip Differential, Heated Seats Rear Spoiler, MP3 Player, Keyless Entry, Child Safety Locks, Steering Wheel Controls. TRANSMISSION: 6-SPEED POWERSHIFT AUTOMATIC SelectShift w/thumb switch on gear shifter (STD). Edmunds.com`s review says Ford has tuned the suspension masterfully, imbuing even this economy-minded model with a playful, light-on-its-feet character.. Great Gas Mileage: 34 MPG Hwy.